Heat oven to 350°F. 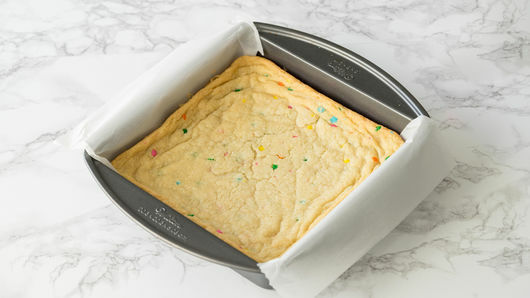 Line 8-inch square pan with cooking parchment paper, leaving edges hanging over slightly for easy removal later. 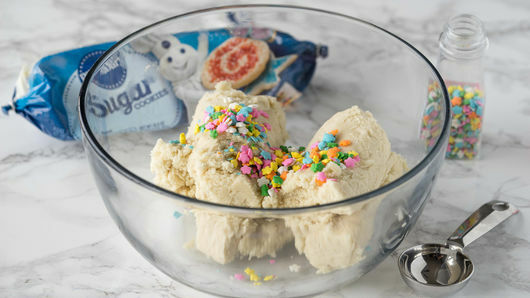 In medium bowl, break up 1 roll (16.5 oz) Pillsbury™ refrigerated sugar cookies; knead in 2 tablespoons pastel-colored candy sprinkles until well blended. Press mixture in pan. Bake 20 to 23 minutes or until set and edges are golden brown. Cool completely in pan on cooling rack, about 1 hour. Remove from pan by lifting edges of parchment paper. Cut into 4 rows by 4 rows; drizzle with 1/2 cup white vanilla baking chips, melted. 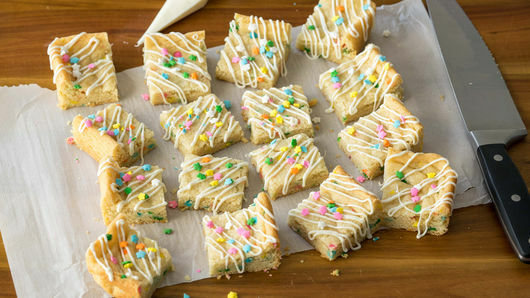 Immediately sprinkle with 1 tablespoon pastel-colored candy sprinkles. 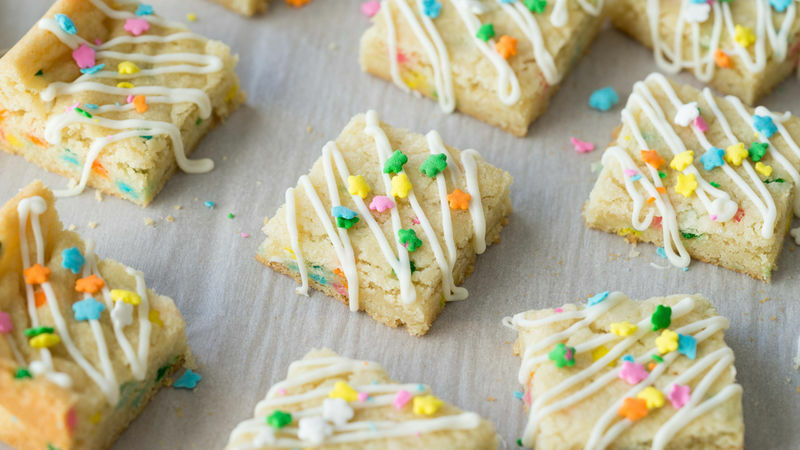 Stir in 1/2 cup pastel candy-coated chocolate candies in addition to the sprinkles for a super-colorful treat! To get a perfect drizzle, spoon melted chips into a resealable food-storage plastic bag, and snip a small corner off bag to squeeze drizzle through.